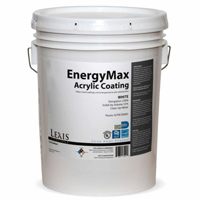 EnergyMax Acrylic Coating is an ASTM D-6083 compliant roof coating product for restoring metal roofs. May also be used for flat roofs with no ponding water issues. Easy water clean up. Meets or exceed ASTM D-6083. Provides a seamless, elastic and durable membrane. 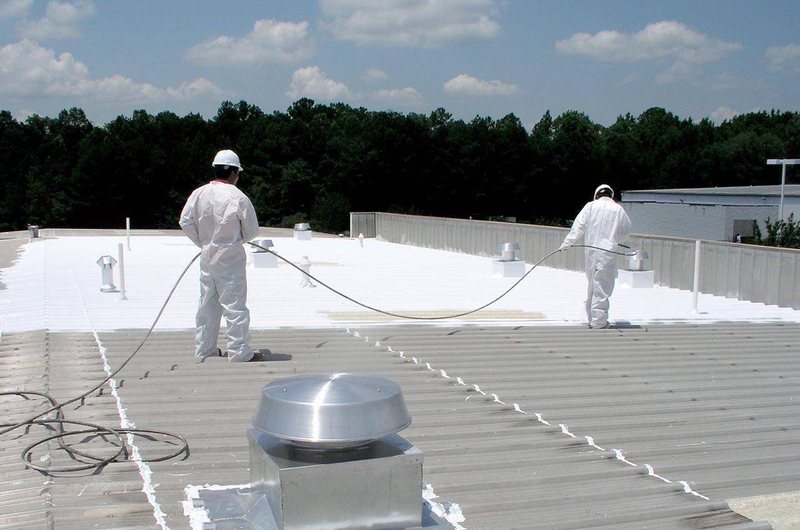 Reflective roof coating helps reduce cooling costs, prevents UV-degradation and premature roof failure. Easy to use, non-toxic and VOC-compliant water based roof coating. Clean Up Water. Don't leave coating in spray guns, hoses and pumps for prolonged periods. Coverage 1gal/100SF yields 9.6 dry mils. Up to 1.6gal/100SF per coat. 2 coats recommended. Dry Time Dry to touch in 4 - 6 hours. 12 - 24 hours to recoat. Depending on humidity and moisture. Caution: EnergyMax Acrylic Roof Coating is a water-based product which will freeze and become unusable at temperatures below 32°F. Suspend all application if conditions prevent a complete cure before sunset, rain, fog, dew or freezing temperatures. EPDM Coatings must be completely dry before exposing to water or foot traffic. Keep EPDM Coatings containers covered when not in use. Dispose of all containers in accordance with state and local environmental regulations. Keep away from children. If ingested, DO NOT induce vomiting. Call physician immediately. Do not use on ponding water locations. Roofing granules may be introduced within 10 minutes of final coat at a rate of 35-40 lbs/100SF. Equipment: polyester brush, long nap roller, spreader or 3000psi, 2gpm airless sprayer with a .031 tip. Do not leave coating in spray guns, hoses and pumps for prolonged periods. EnergyMax Acrylic Roof Coating is available directly from EPDM Coatings and our authorized distributors. 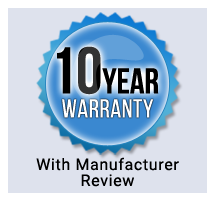 On pre-qualified and registered applications completed by EPDM-approved contractors, long term warranties are available. Contact EPDM Coatings for warranty information. Contact EPDM Coatings for technical support.